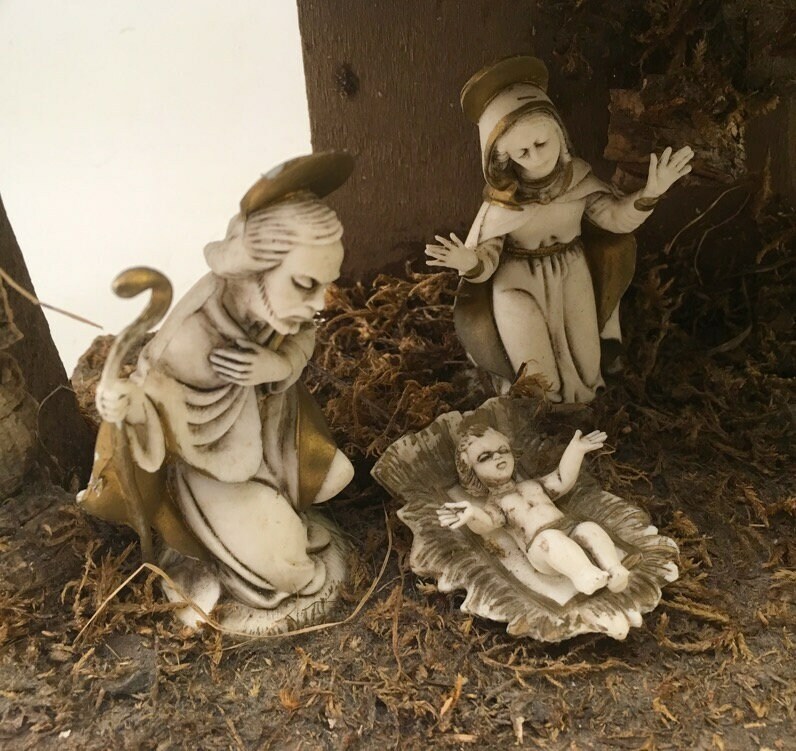 Silent Night, Holy Night . 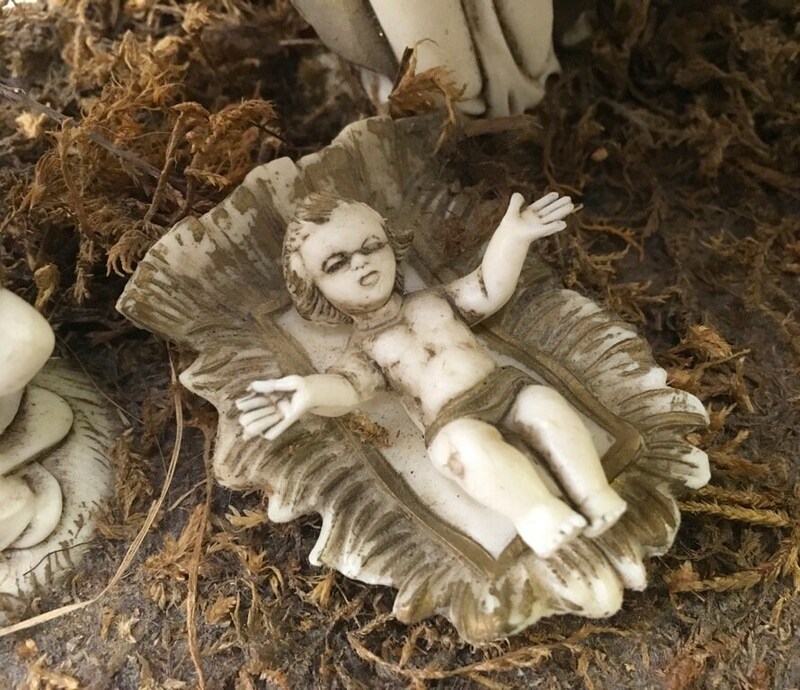 . . Well, silent for now. 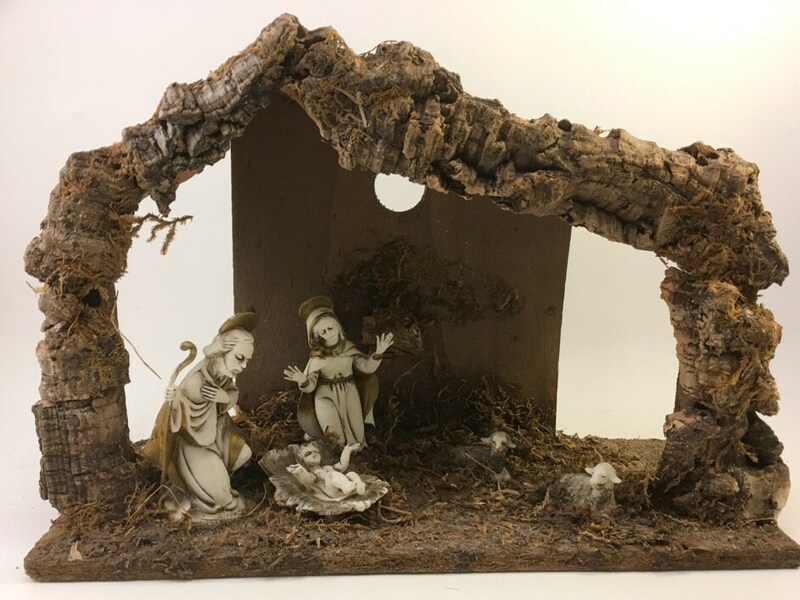 We find the Holy Family - Joseph, Mary and newborn infant Jesus sharing a Christmas moment, but soon the shepherds and kings will arrive and then it’s a celebration! 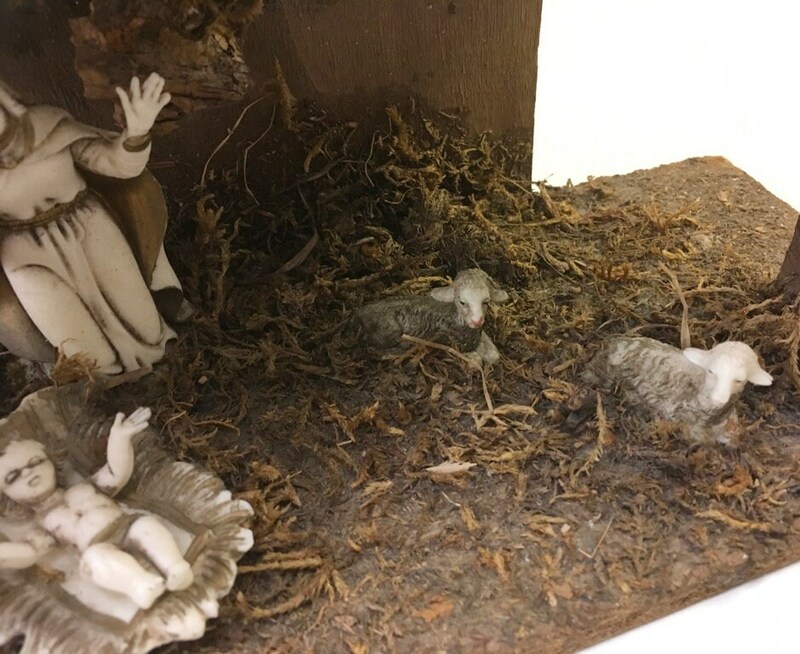 The three figures and 2 lamb are all white and gold painted plastic. 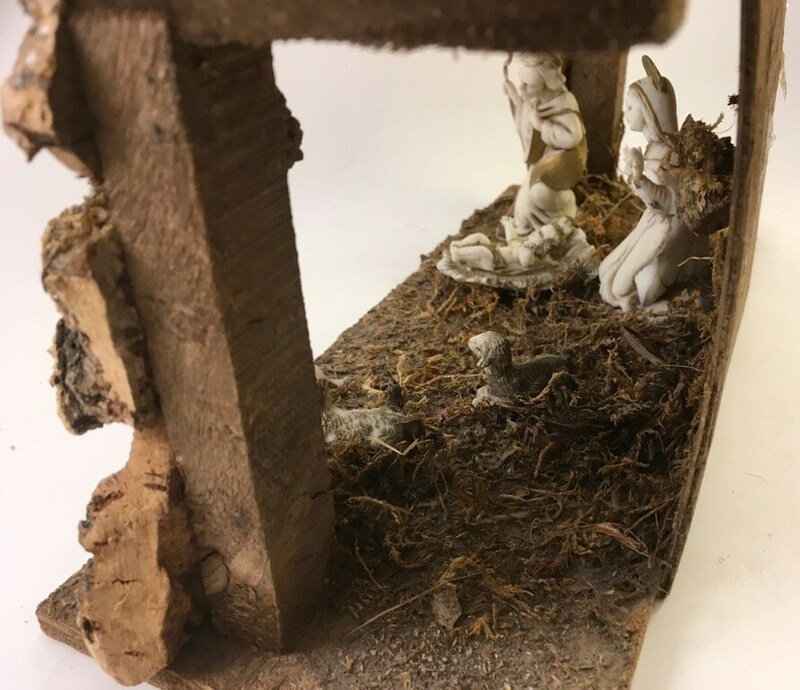 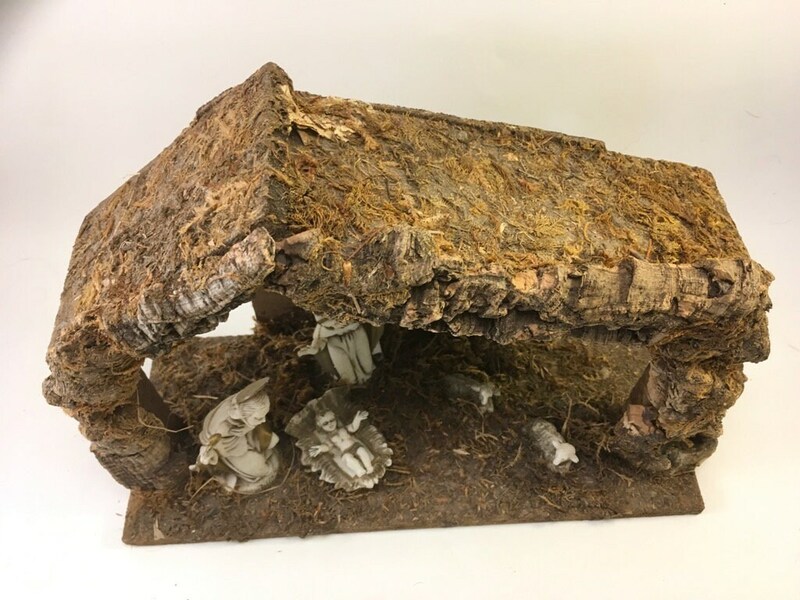 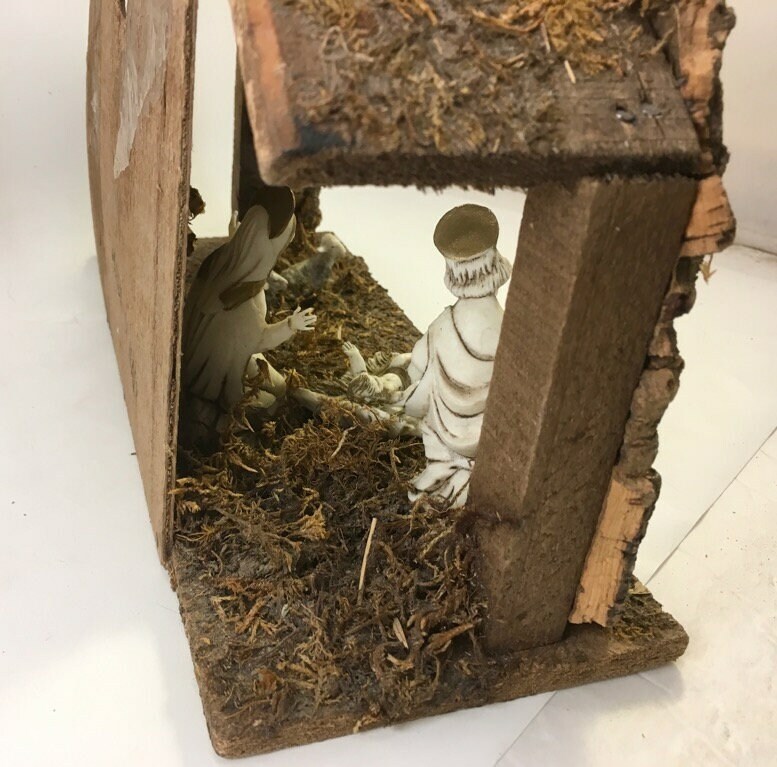 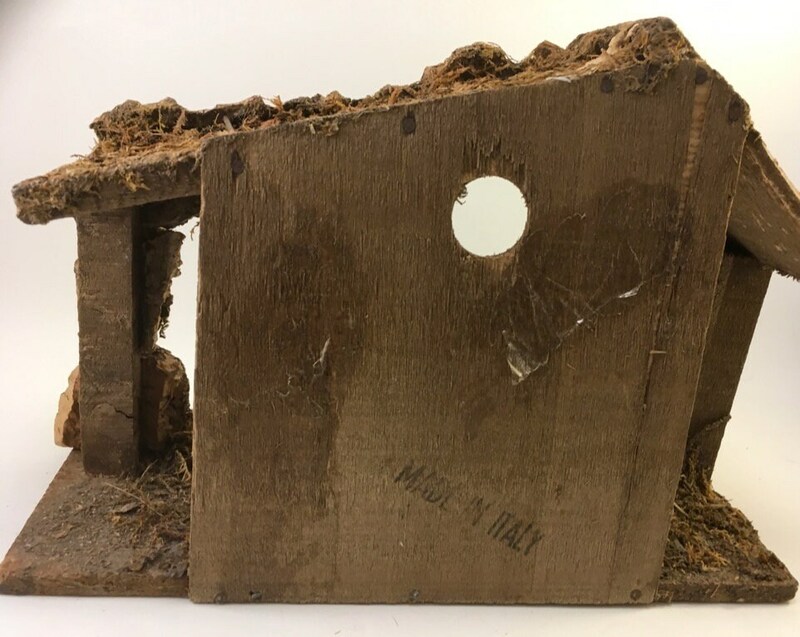 The rustic manger is constructed with wood, bark, and moss. 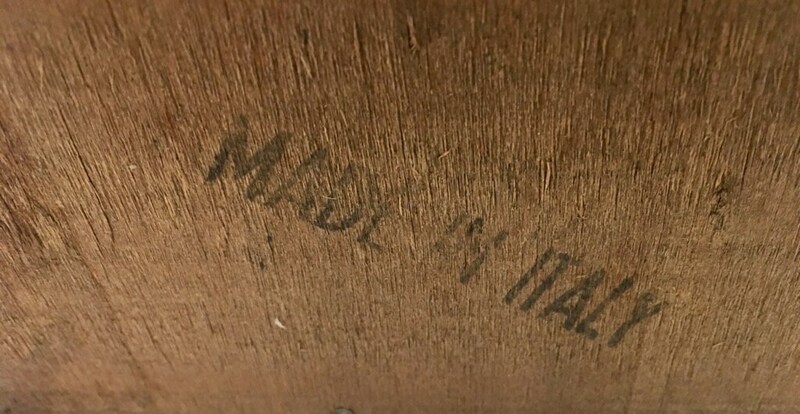 Marked on the bottom ITALY. 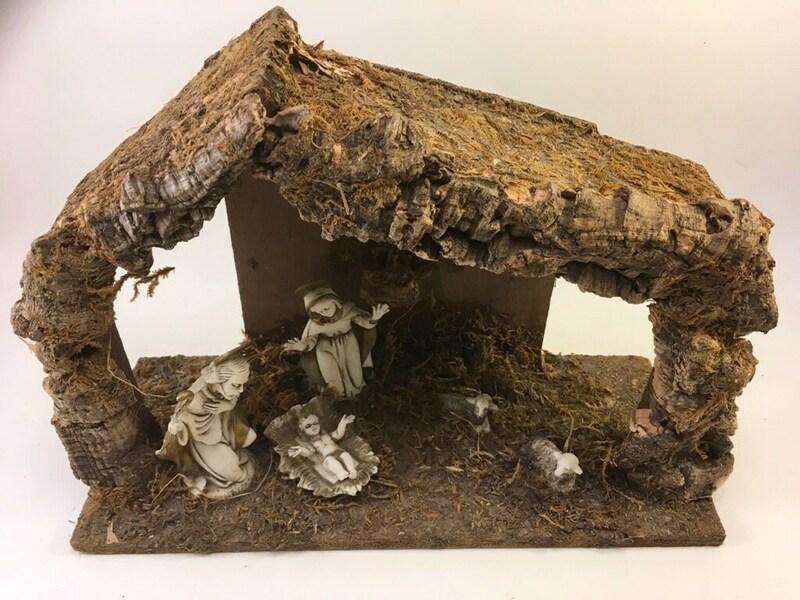 Perfect for your neutral decor!